Now that it is getting a little cooler it is always nice to make comfort food. 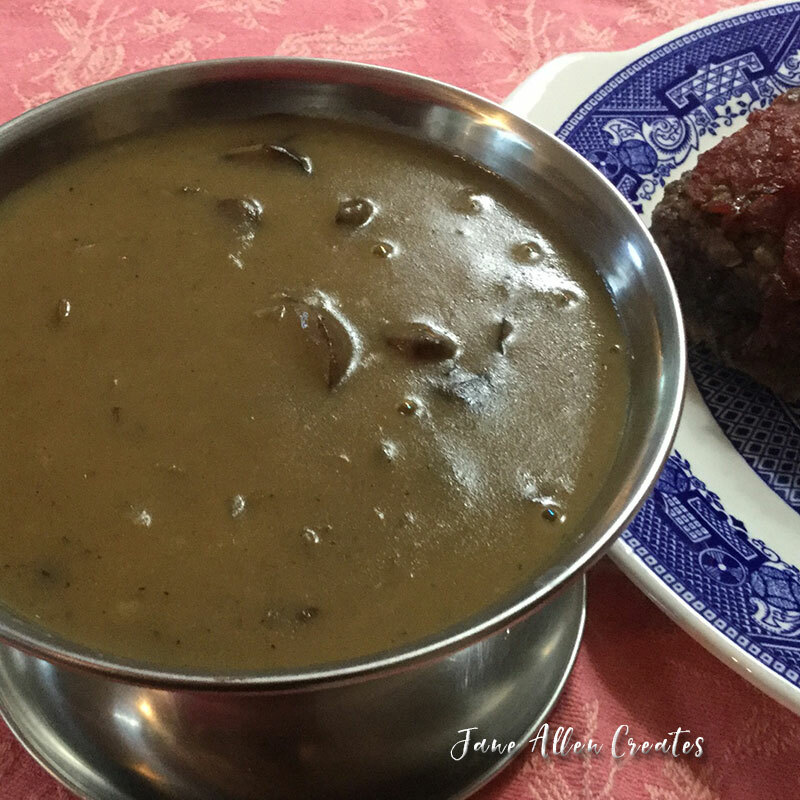 One of our favorites is meatloaf with mushroom gravy. I like this recipe because the only fat in it is a little olive oil. I like to think of it as comfort food that is a little healthy. This recipe is adapted from a recipe I found on Finecooking.com. Warm broth in microwave. Heat the oil in a 12-inch skillet over medium heat. Add mushrooms, onion, salt and pepper. Cook, stirring often, until the mushrooms have cooked through and start to brown the bottom of the pan, 5 to 8 minutes. Add the water and stir to release the browned bits from the bottom of the pan, about 1 minute. Sprinkle in the flour and stir constantly until the mixture has browned and is slightly dry and crumbly, about 30 seconds. Whisk in half of the broth and continue whisking until the liquid is absorbed into the flour, about 30 seconds. Whisk in the remaining broth mixture and bring the gravy to a boil. Reduce the heat and simmer, stirring occasionally, until thickened, 5 to 10 minutes. Season to taste with salt and pepper and thin with water or broth if necessary. Transfer to a small saucepan, cover, and keep warm. Reheat the gravy if necessary before serving. Make Ahead Tips: This gravy can be made up to 1 day ahead and reheated over medium-low heat. You can use your favorite meat loaf recipe. I am also attaching my go-to meatloaf recipe that is adapted from a Mennonite Community Cookbook. I have also made this recipe with chicken. I just use the chicken broth instead of beef. I hope you and your family enjoy these recipes. PS. I also like to add Tomato Jam to the top of my meatloaf before baking, I like the flavor of the meatloaf with the gravy and jam. Lots of yummy flavors. Thanks Charlotte I hope you enjoy. Thanks Effie, I hope you enjoy! Made meatloaf ,mashed potatoes , and mushroom gravy tonight. Everything is yummy. Thanks Jane. Thank you Mimi so glad that you liked it.